Summer is one of the most awaited times of the year and definitely one of my favorite seasons aside from fall, of course. This is the time to go out have fun, and hang out with friends. It's usually the first time most people hit the beach after the long and cold winter days. 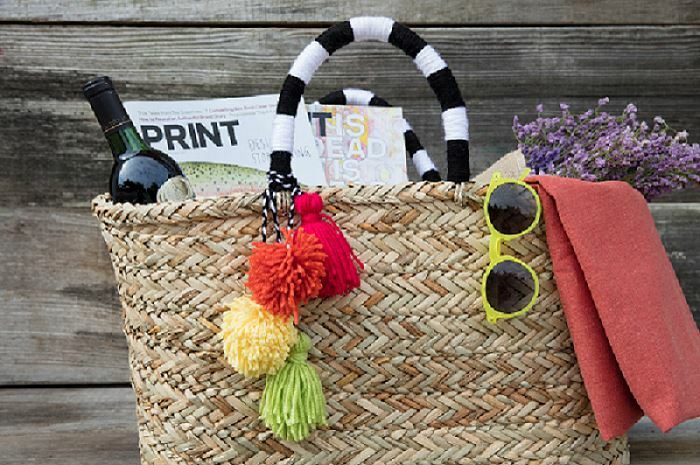 Whether it’s a spontaneous trip or on vacation there are some key items to consider, like a functional and stylish tote to carry all you summer essentials. 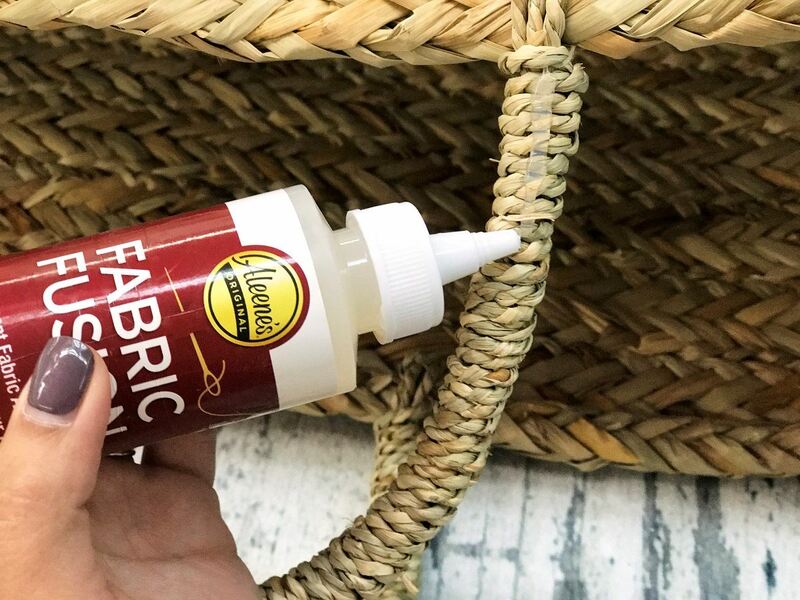 Check out this DIY on how to turn any tote into a summer must have with Aleene’s Fabric Fusion. 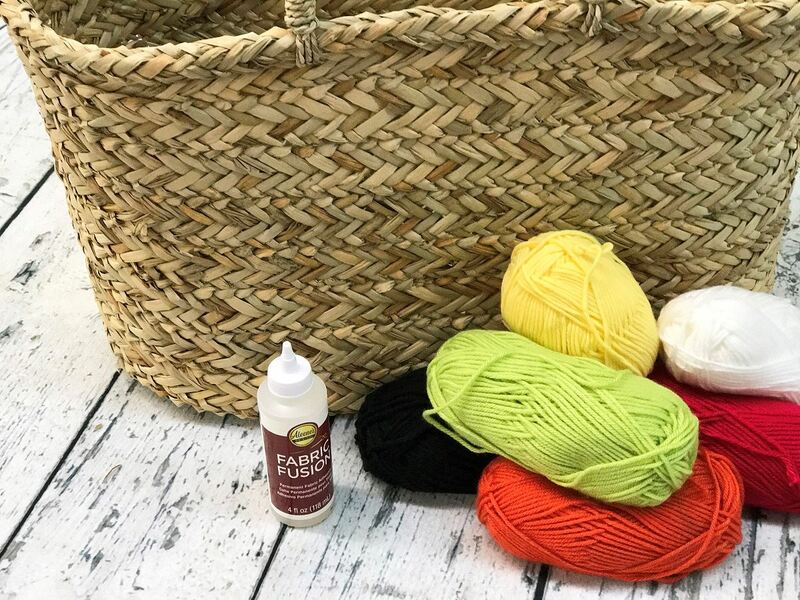 Start by deciding what colors of yarn you want to use on your tote. 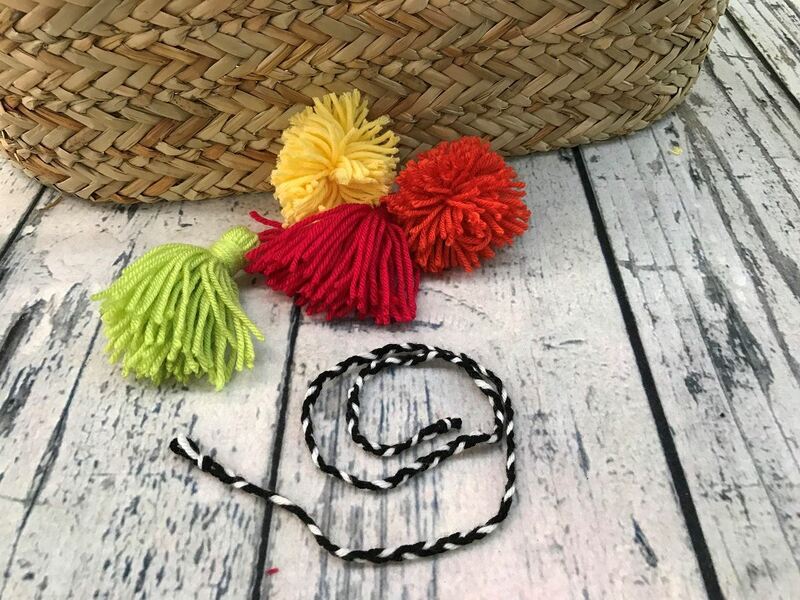 I chose to do a Black and white color block on the handle and used more vibrant colors for my pom-poms and tassels.Once you have your yarn ready to go simply add some glue to a small portion of you handle, this will allow you to wrap the yarn around at a good pace without it drying before you get to the end of the handle. So then just wrap the glue area with your desired yarn color. 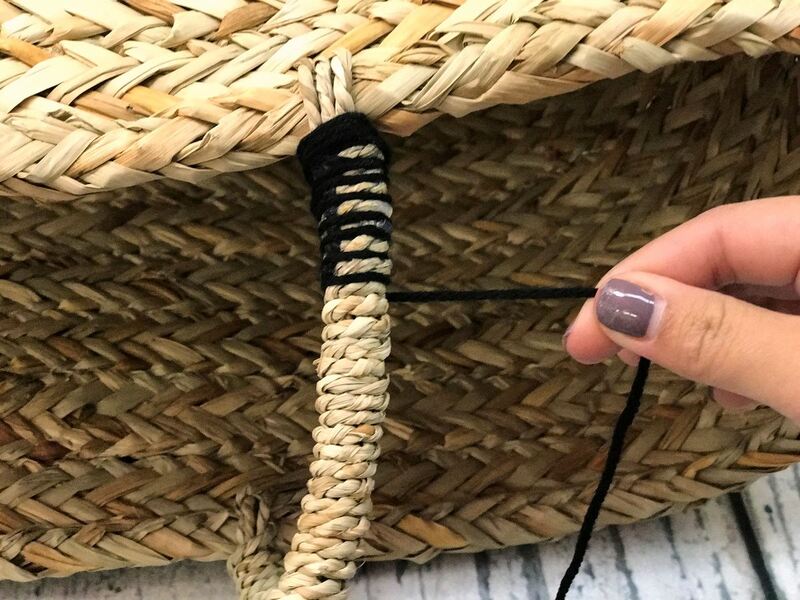 Continue this until the handle is completely covered and simply end it by tying a knot at the end. 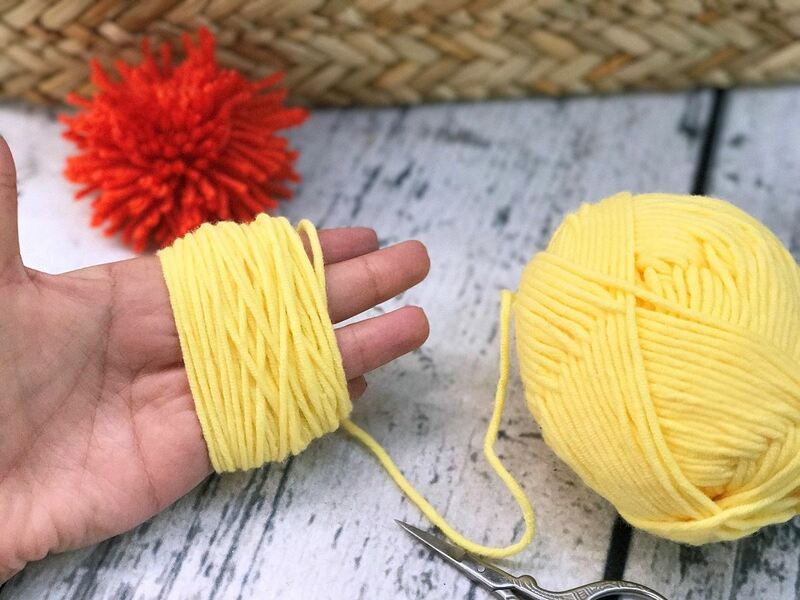 Some people use a tool or a fork to make pom- poms but you can also use your hands as a pom -pom making tool. 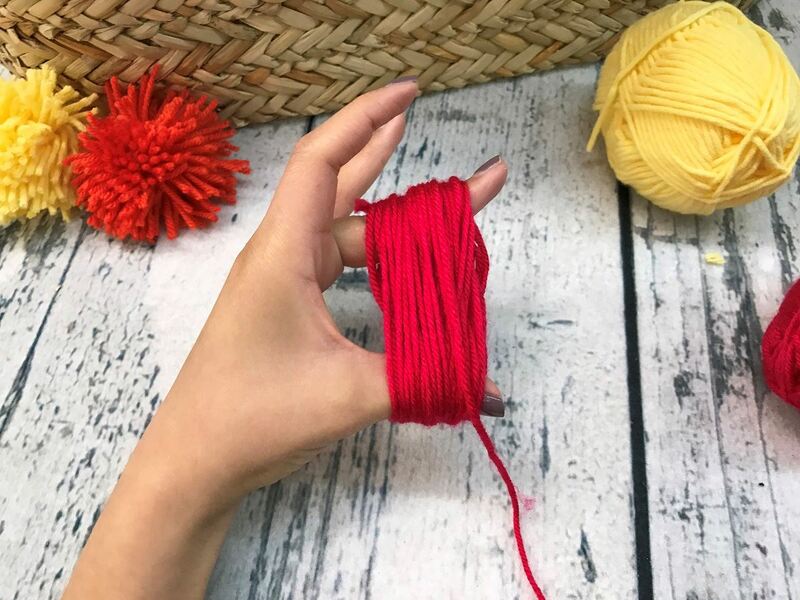 Just extend your hand and wrap yarn around a few times the more yarn you use the fluffier the pom-poms will be. Next carefully slide the yarn off your hand keeping it in the same shape. With some scissors cut a small piece of yarn and use that to tie the yarn in the center. 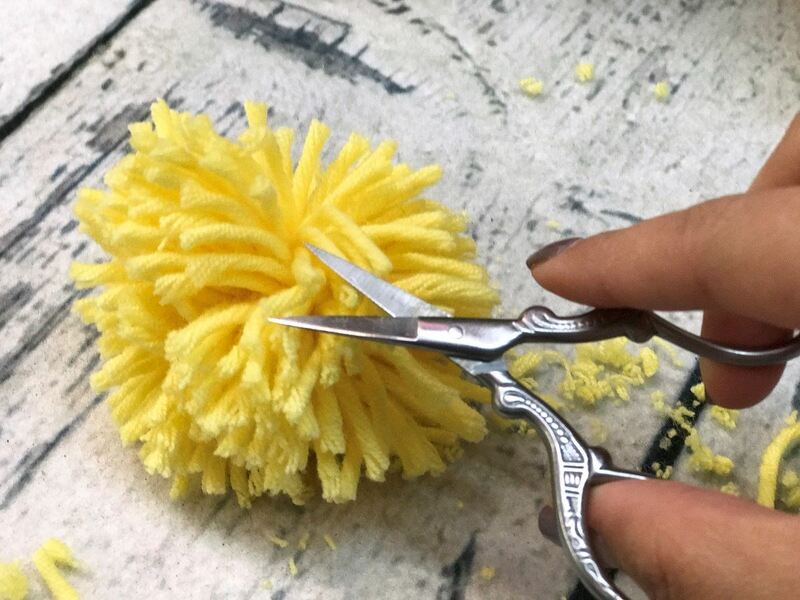 With the scissors cut the ends of the yarn to form a pom-pom. The tassels have a similar process but instead I just use two fingers to make the tassel longer. Start by wrapping yarn around two fingers and carefully slide the yarn off. Cut a small a piece of yarn and tie it to the top of the tassel. 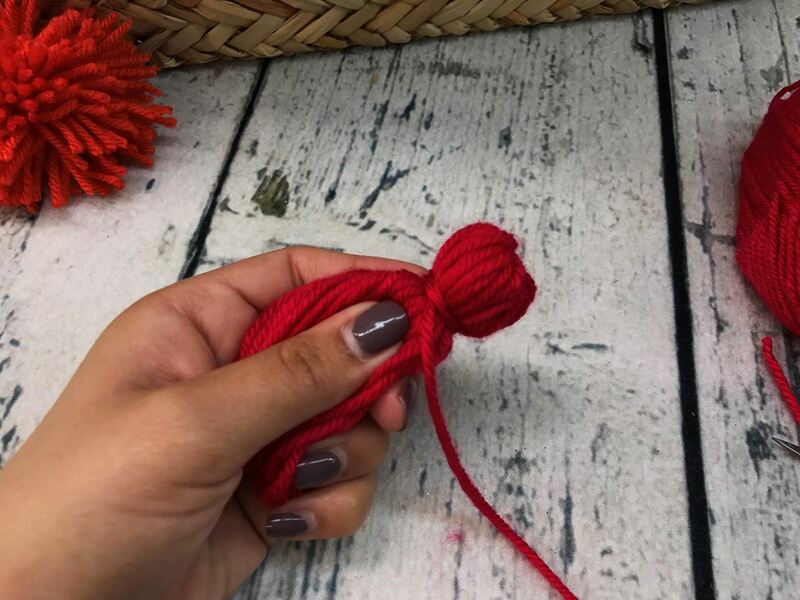 Use the scissors to cut the bottom of the yarn to form the tassel. 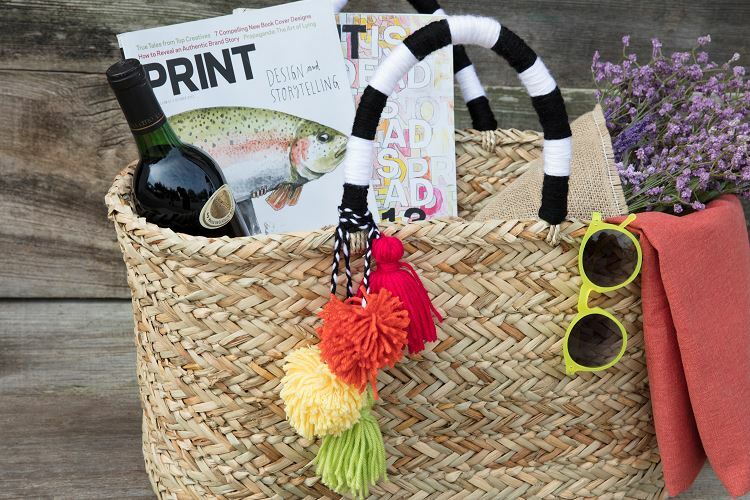 Make a braid out of yarn and use it to hang the pom-poms and tassels off the side of the tote. 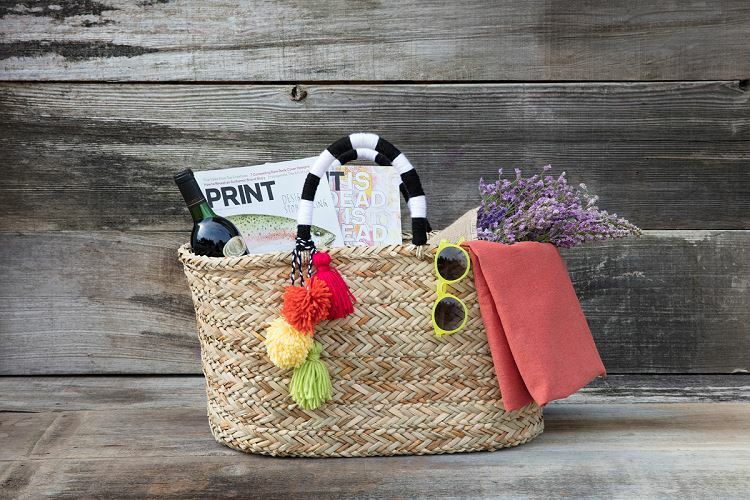 Now you’re ready to hit the beach and take in the summer rays and show off your new tote.